Top floor apartment (with lift). 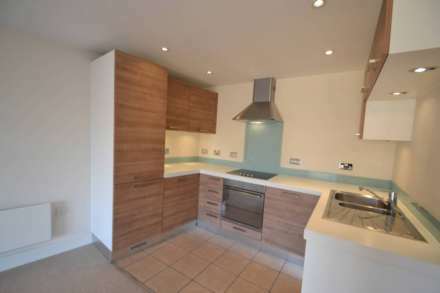 A two double bedroom apartment in the popular Capitol Square development. The property features an open plan living room/kitchen with integral appliances, including dishwasher, tall fridge/freezer, washing machine/tumble dryer. Master bedroom with fitted wardrobe and ensuite bathroom/WC, further double bedroom and shower room/WC. Oak effect flooring throughout. One allocated secure under ground parking space. Unfurnished and available 1st December 2018..